This government run park is really huge and, despite being in the middle of nowhere (though it is very near to ‘downtown’ Shobara), makes for a great family day out. 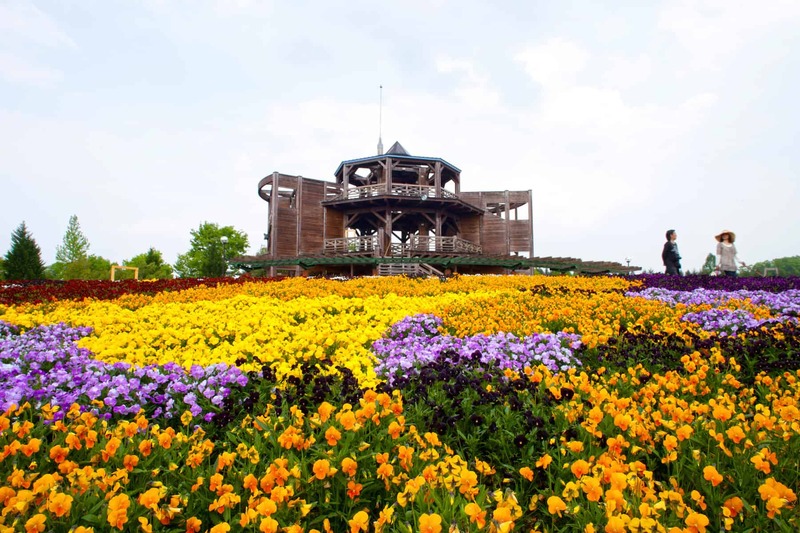 The park is very popular as a flower-viewing destination with large fields of seasonal blooms such as daffodils, tulips, sunflowers and cosmos between spring and autumn. 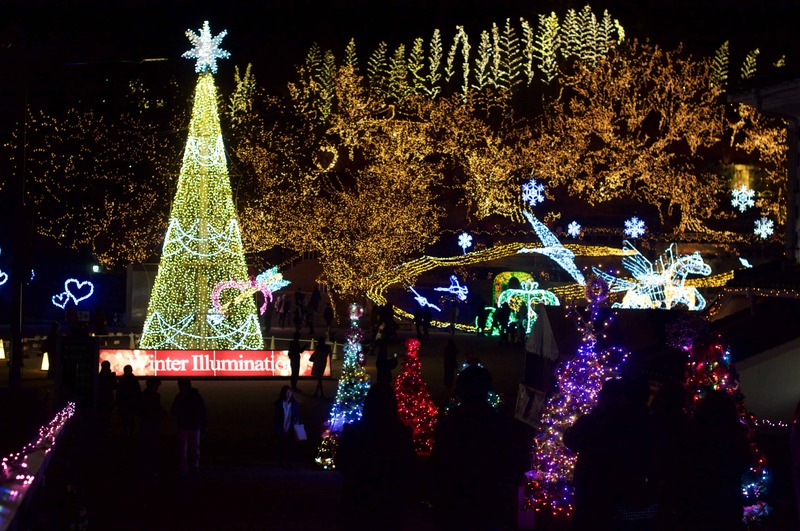 In the winter it hosts the region’s largest and most impressive winter illuminations. In addition there is an interesting reconstruction of a “furusato” farming village, a kagura (shinto music) hall, craft centers and gardens, a ‘Forest Athletic Course’ with 39 different sets of equipment, a 4.6km cycling course, disc golf, and the hillside lawn where families can frolic on the grass and kids can play on the big adventure playground or scoot down the grass slide. 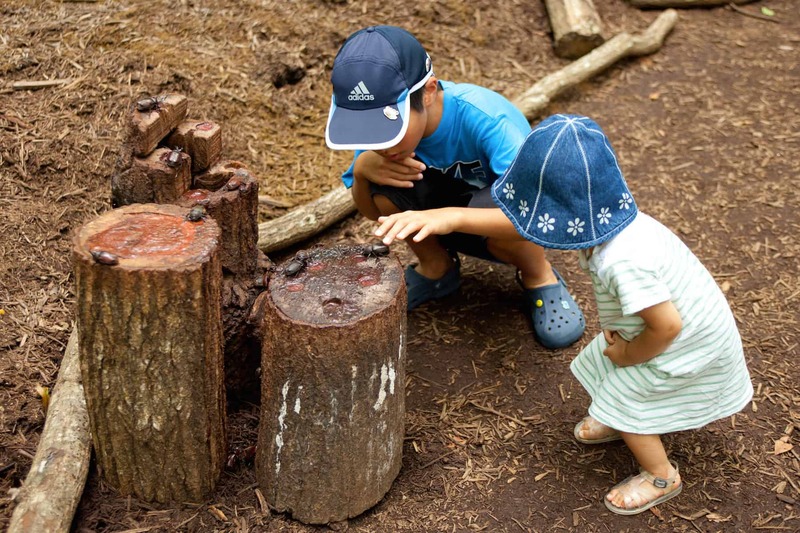 Read more about Bihoku Hillside Park here. 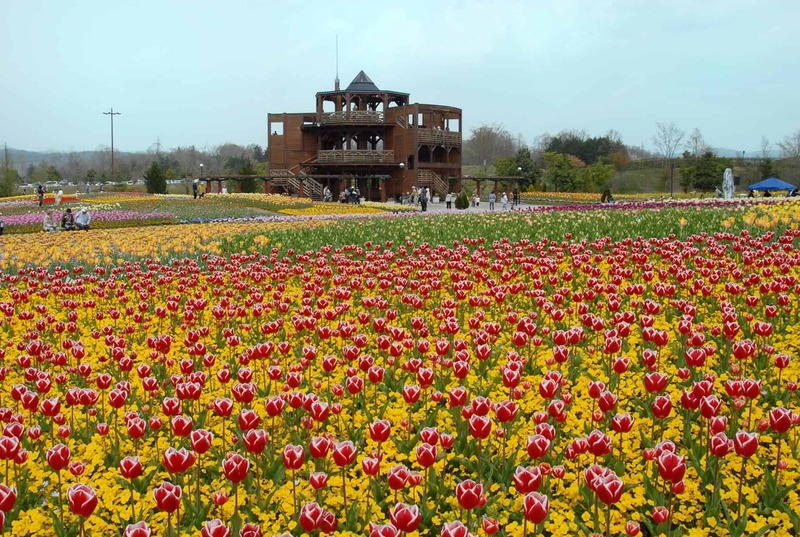 May I know what will be the flowers in bloom during the period from 8th April to 13th April 2009? 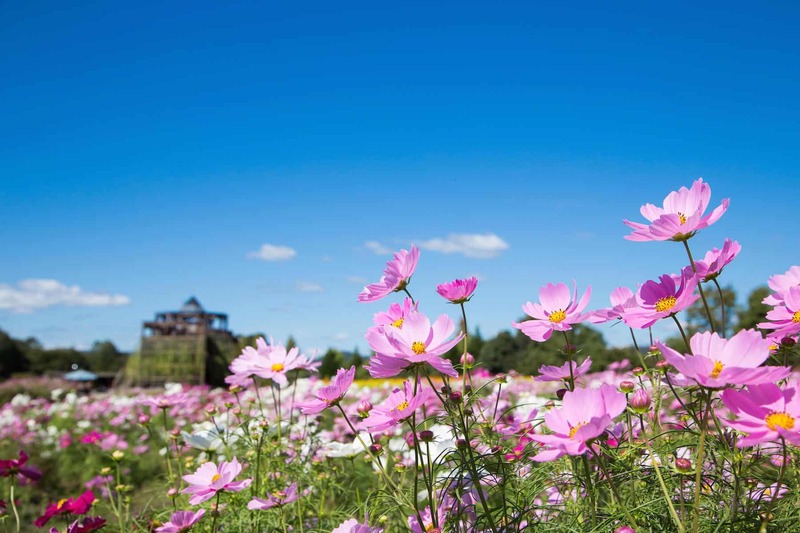 Is it easy to walk from Kumanoguchi Bihoku-kotsu bus stop to your Park? 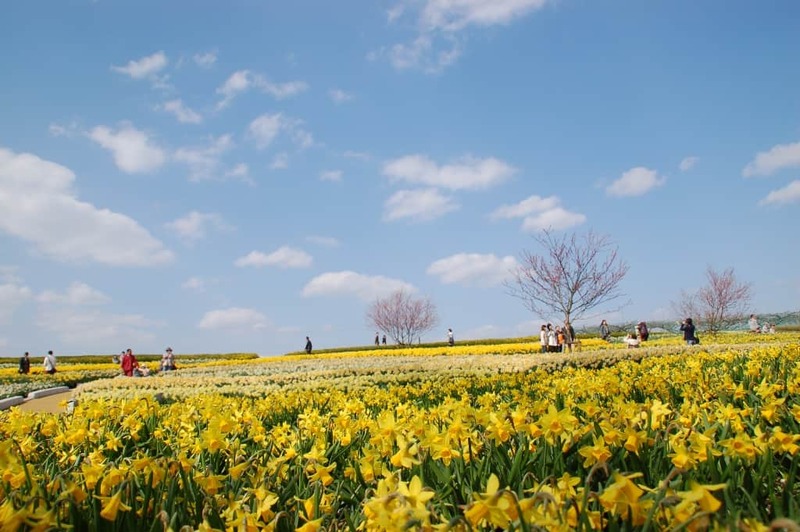 the main flowers in bloom during that season are usually pansies, tulips, disporum and, because the park is at quite high elevation, you may be able to see some cherry blossoms too. It looks like it is about a 30 minute walk from the bus stop to the park.